The mobile apps must focus on one or more of these five broader categories – Fishing, Shipping and Trade, Ocean Acidification, Public Safety and Exploration – though note that the use examples below are far from comprehensive. Teams are challenged to be creative, and think of additional uses for ocean data that fall within these broad challenge categories. 1. Fishing — Apps focused on sustainable use and management of fishing, seafood traceability, species identification, combating illegal, unregulated, and unreported (IUU) fishing, or enforcement of marine protected areas. 2. Shipping & Trade — Apps focused on ship tracking, efficiency of trade routes, port information, available docks, citizen science, and uses for empty shipping containers. 3. Ocean Acidification — Apps related to an early warning system about changing pH levels and the potential impacts to local biology and marine resources. This is a follow on to the Wendy Schmidt Ocean Health XPRIZE awarded in 2015 to develop breakthrough ocean pH sensors. 4. Public Safety— Apps related to public health, safety, and recreation, water quality, tsunami and tide warnings, jellyfish or harmful algal blooms, and beach closures. 5. Exploration —Apps related to bathymetry (seafloor maps), bio-prospecting for medicines, species discovery, education, and biodiversity. Category Winners - $15,000 to the winner of each category – Fishing, Shipping and Trade, Ocean Acidification, Public Safety, and Exploration. Judge's Award - $10,000 to the app that impresses judges with its particularly creative or elegant use or visualization of ocean data. Notes: All finalists are eligible for the bonus prizes and judge’s award, teams are eligible to combine and potentially win mutliple categories with one app. 31 March 2017: Register and submit app concept and mockup. A team may submit up to 3 concepts. 31 May 2017: Expert evaluators and public voting selects top 50 concepts as semifinalists. 31 August 2017: Semi-finalists submit app prototype (v1.0) and narrative. October 2017: Judges select 15 finalists. 21 December 2017: Finalists submit v2.0 of app and narrative. Early 2018: Judges select winners (1 per category, bonus prizes, and judges award). Note: The above dates are subject to change and competitors will be kept informed. There are thousands of potentially useful data sets that teams can utilize. To begin, data sets can be obtained from the websites below. Teams may also use other available data from reliable sources, and/or their own data. Teams should use observational data, not modeling data. To contribute datasets for use in the list below, please contact us or leave a link in the comment thread. Please check back regularly for more links to useful data sets. Innovation: Is the solution novel? Does it solve a problem, fill a gap, or start a solution in a creative and/or never-seen-before way? Does it provide added value over what is currently available through existing applications? If you have an existing app product, how are you improving it within the scope of the competition categories? Impact: What is the potential impact of your solution? What are the potential benefits to communities, the economy, industries, the environment, or human well-being? Where and how would these benefits be realized? Judges will consider number of users, market size, and potential price/market value. Popularity: Popular votes on the concept during public voting. Technical Achievement: Is the app accurately representing the data? What is the quality of the coding? Did the participants solve a hard technical problem? Could it adapt to/incorporate new data streams? Does it run quickly and crash rarely? User Interface (UIX): Describe the practical usability of your solution. How can it be used by specific users to achieve the goals you've identified? The Judging Panel will be made up of individuals that represent a diversity of expertise, such as oceanography, marine conservation, app development, economics, information technology, ocean law and policy, public health, and ocean industries. 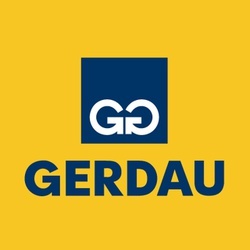 No Judge, nor any member of Judge’s immediate family, shall participate, nor have any financial or other material interest, in any Team or Team Member. All members of the Judging Panel shall promptly disclose to HeroX any such current, former, or expected future conflict of interest with HeroX, XPRIZE, and/or any Team or Team Member. Each Judge will enter into a Judging Agreement with HeroX that will: (i) outline the Judge’s duties and obligations; (ii) require each Judge to maintain confidentiality of HeroX’s and Team’s Confidential Information in accordance with the Competitor Agreement; and (iii) require each Judge to acknowledge that he or she shall make no claim to any Team’s Intellectual Property. Official decisions made by the Judging Panel will be approved by a majority vote of the Judges, following careful consideration of the criteria, results, and scores, and these Guidelines. If any vote of the Judges results in a tie, then the Judging Panel shall determine the mechanism to settle the tie. Who Can Participate: The Challenge is open to individuals and teams from all backgrounds. To be eligible to compete, you must comply with all the terms of the Challenge as defined in the Challenge-Specific Agreement. Voting: All votes are subject to review. Any competitor using unfair methods to solicit votes will be automatically disqualified from the challenge. Submission Format: Must be mobile apps which can be developed for Android 4.4 (KitKat – API version 1) or higher, or using iOS SDK to be downloadable on iOS compatible products from Apple. Submission Deadlines: No submissions will be accepted after the deadlines. All submissions must be received online, via the Challenge website. Concept phase: Deadline 31 March 2017 at midnight UTC. Semifinalist phase: Deadline 31 August 2017 at midnight UTC. Note: Challenge Guidelines and Rules are subject to change. Registered competitors will receive notification when changes are made. However, we highly encourage you to visit the Challenge Site often to review updates. SUPPORT PROVIDED — What are the benefits for participating teams? Feedback: Expert judges will evaluate and validate concept. Community: Fostering of and access to community of practitioners in this new field. Networking with experts and potential future collaborators. Publicity: Finalists and semifinalists receive recognition via online repository of concepts. Finalists and semifinalists receive PR as a leader in this new and burgeoning field. Prize Money: $15,000 for each category, $5,000 bonus prizes for conservation, education, and integrating multiple data sets, $10,000 judges’ award. Intellectual Property: Participants will retain all intellectual property for the apps. Etc. : Additional benefits/support depending on development of partnerships or advanced market commitments. This challenge was designed in coordination with Dr. Ayana Elizabeth Johnson and her consultancy Ayana Elizabeth Consulting LLC. 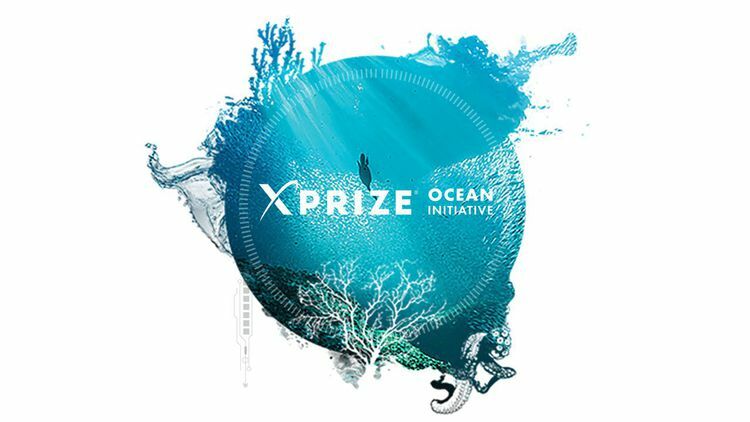 This HeroX challenge builds on the success of the Wendy Schmidt Ocean Health XPRIZE, and is part of the XPRIZE Ocean Initiative with the vision to make the ocean healthy, valued and understood. This challenge is made possible through generous contributions to XPRIZE by Wendy Schmidt.